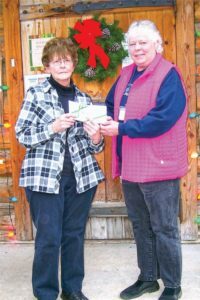 Door Prizes were won by Barb LePak and Yvonne Resch. 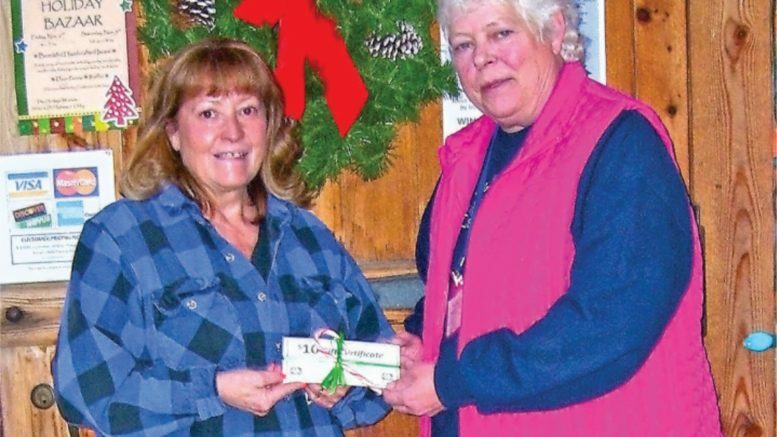 Photo of second place winner Debbie Hayes as she receives her prize from Terry Peck. Joyce Goodwin poses for a pictures as she receives her first place prize of $100 from Terry Peck. Photos courtesy of Lauri Mari.